These are taken a t a Japanese clothing store. 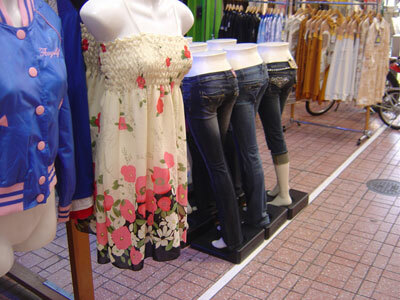 To show how their clothes look like on body, most stores use mannequins. 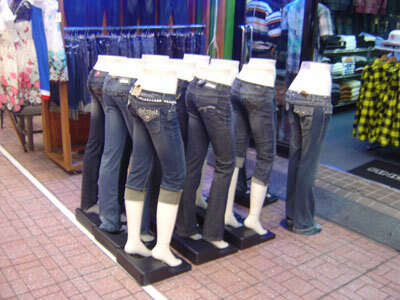 At this store, there was a troop of buttocks. Isn’t it too crowded? Eleven buttocks making ranks and look like marching! It must be quite scary to see in the darkness at night.